The selection of a Coffin, Casket or Urn is an intimately private affair and we, at Pat O’Sullivan & Sons, respect that consideration by providing each of our customers with a unique CODE to view our Brochure to help with your selection. For those concerned about CO2 emissions and the global environment we have a selection of Eco-Coffins and Baskets which are hand-made here in Ireland. 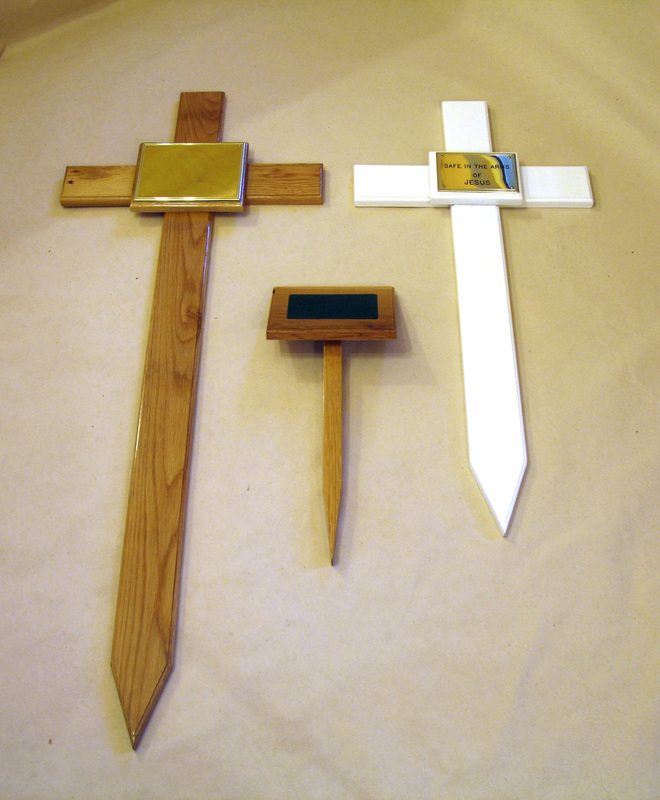 While the Headstone is being prepared and the necessary time for the ground to settle we provide a quality Wooden Cross and inscribed Brass Plate. Our extensive range of beautiful Coffins, Caskets and Urns are made of the highest quality materials. The wood for our Coffins is sourced here in Ireland. Our range of quality Caskets are crafted in either Traditional Hardwoods of Oak and Mahogany or of Bronze, Copper and American Steel. All caskets come with a beautifully patterned quilted fabric. 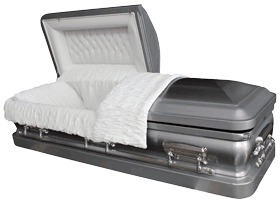 See our Casket Selections in the "Coffins, Caskets & Urns Brochure". We have an wide selection of styles in Full and Keepsake Urns for your loved ones who have chosen a cremation funeral for their final resting. For those wanting an organic vessel to contain the remains of their loved one we provide the fine woodwork found in our Wooden Urns Collection. To always remember your loved one cremated ash can be transformed into Keepsake Jewellery or Token Ash can be placed into a small Keepsake Urn. "Coffins, Caskets & Urns Brochure".